How Far is VSPL Anthorium? VSPL Anthorium is one of the popular residential projects that is located in Jakkur, Bangalore. 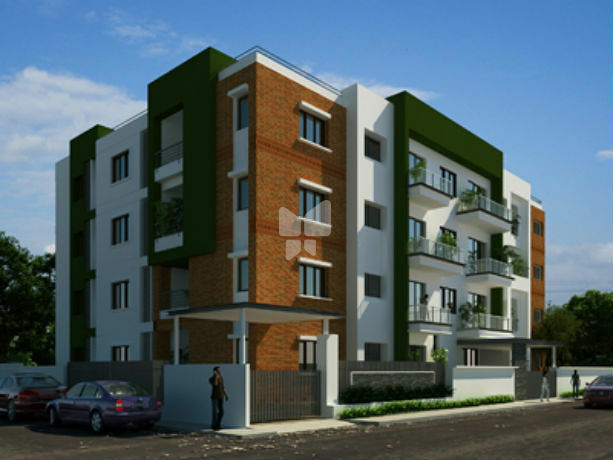 Developed by Vikram Structures, this project offers thoughtfully constructed 2BHK and 3BHK apartments. It is situated close to the market, hospital and various educational institutions. Anti skid ceramic tiles for flooring, Glazed tiles dadoing upto 7” height for walls, matching distemper paint for remaining portion of wall and ceiling. Ceramic tile for flooring, Black Granite cooking platform with Stainless steel sink, glazed tile dadoing upto 2” above platform, distemper paint for wall and ceiling. Granite Flooring and MS Hand Railings, steps with 3-4 grooves along the edge for safety. DOORS - Marine Teak Wood frame with Kutty masonite Shutters, Toilet Shutter should be FRP backing upto 2’-62 from floor. (b)Windows - Iron Grills and Mosquito mesh. Marine Teak Wood frame with Kutty masonite Shutters, Toilet Shutter should be FRP backing upto 2’-62 from floor. Common over - head tank and sump tank with Bore well in addition to BWSSB water supply. 8 passenger automatic door lift of Johnson Granite Cladding for Lift entrance wall. Generator. Children’s Play Area All Public common areas will be Accident Proof- stair, balcony, window and terrace- either narrow railings or covered by glass. Covered Parking in Basement and provision for Open parking in set- backs.